Early start on our final day in Uganda, and there were a few sore heads at breakfast after hitting the nightspots of Masindi to celebrate Sara’s birthday last night. However hydration and caffeine did the trick and we were off for our final visit to Kabalega School. The children turned up for practice at 8.30 on a Saturday morning, which says all you need to know about their enthusiasm, and we fitted four games of mini cricket on the huge playing area, which were hotly contested. Next we travelled about 10 miles into the hills to the Masindi Centre for the Handicapped, set in the most beautiful, tranquil countryside. It had all ages from toddlers to teens, some of the disabilities obvious, others less so. They loved catching and batting, and when balloons were produced there was such delight. A huge smile communicates so much. 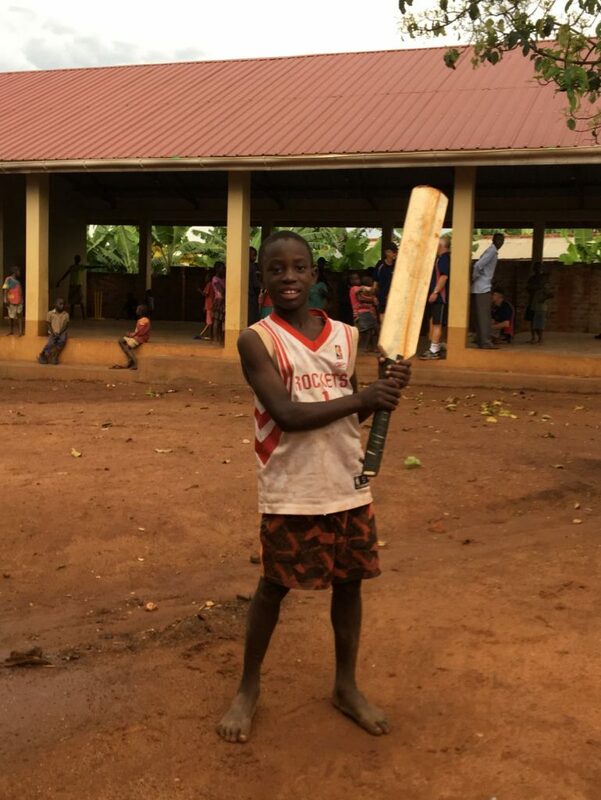 As it’s my blog I’m going to tell you about the little boy who won my heart – he is about 8, with only one arm, but I got him to catch a ball, and also have a go with the bat. He didn’t speak, but his face showed the pleasure he got from it, and really made me feel I had achieved something worth doing. I don’t think any of us wanted to leave. After a rain break it was back to Family Spirit orphanage for some coaching, but it was too late wet to do much outside. However, Mark soon had games going in their meeting hall, while the rest of us got reacquainted with the youngsters we met last week. If there was any doubt that we had made an impression it disappeared the moment Sadia (about 6) came up to me and said ” Your name is Ali”. Leaving was tough for us all, wondering what their futures will hold. Sara, meanwhile, had been busy in town commissioning a wooden cricket bat from a local carpenter, possibly now Uganda’s premier bat maker! All completed in the space of a couple of hours. Sadly the weather stopped us giving it a proper trial, but I’m sure it won’t be long before it makes it’s CWB debut! 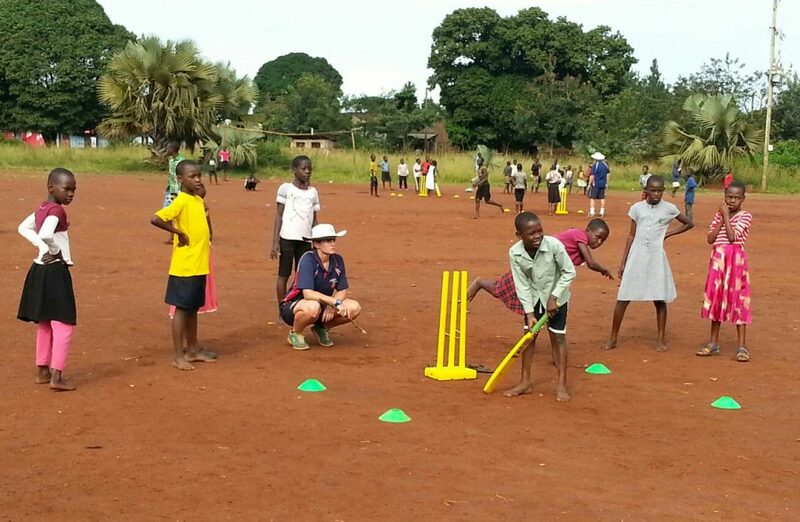 Uganda South: Teaching the Teachers – Coach Education! Uganda South: Views from Kabale from a returning volunteer! Muhimbise Elius on Uganda South: Views from Kabale from a returning volunteer! Carl on Uganda South: Views from Kabale from a returning volunteer! Previous Post Uganda South: Views from Kabale from a returning volunteer!